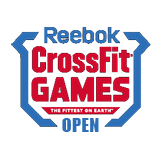 CrossFit Kids is the principal strength and conditioning program for many young athletes and the primary P.E. program for many home schools, charter schools. It is used by athletic teams, martial arts schools and many parents that want their kids to grow up healthy, strong and have a life long love of working out thus avoiding the common problems associated with childhood inactivity and obesity. The face you make when someone asks do you lift weights? . . . 💪🤩 Duh. 🍀CALLING ALL TEENS🍀 Join us this summer to prepare for your seasonal sports and improve your overall fitness. Our programming will be varied, fun, and full of growth. To register email us! Saddle game strong. Don’t forget this month our healthy habit is mobility. We have a calendar for each athletes with 3 stretches a day to complete at home. Haven’t gotten yours? Snag your sheet from the front desk! 🧡These strong girls are ready to take on @wodwarsfl this Saturday! Final run through tonight at 6:30pm competitors class. We look forward to cheering these girls on Saturday along with Coach @dylanmcaleese & @ericpertee. Join us for some fun in the sun in Dunedin! Shout out to Clover Kid Tilly for earning another Disney 🏅! We will see you again this week for RUN CLUB Tuesday’s at 6:30pm. 💙🧩 Our Autism Awareness WOD is Saturday at 9:30am. We will participate in our annual Jacob WOD. Be sure to join us and wear your blues. We wanna party like it’s your birthday 🎂🎉 Let us plan a fun filled day for your child at their favorite place. Message or email us to reserve your date! 🌧 or ☀️ Run Club starts tonight at 6:30pm! Tonight we will set some benchmarks with a mile run and a mile row. Remember, this class is 30 min and our focus is on building endurance to prep for Murph in May! GO 💨💥 Sunshine & Partner WODs coming your way tomorrow at 9:30am! 1️⃣9️⃣.4️⃣ this crew gave their all and showed off their 🍀💚. Happy Paddy’s Day weekend and birthday weekend to Gracie & Brody. 👏Sportsmanship to the fullest. We love how our Clover Kids support each other. 🍀💚 Thanks @elainevaronaphotography for this perfect capture. 19.1 got me like...MA GET THE WATER❗️💧 Clover Kids had an awesome start to The Open. A few shirts are up for grabs. Check out the Facebook Group. 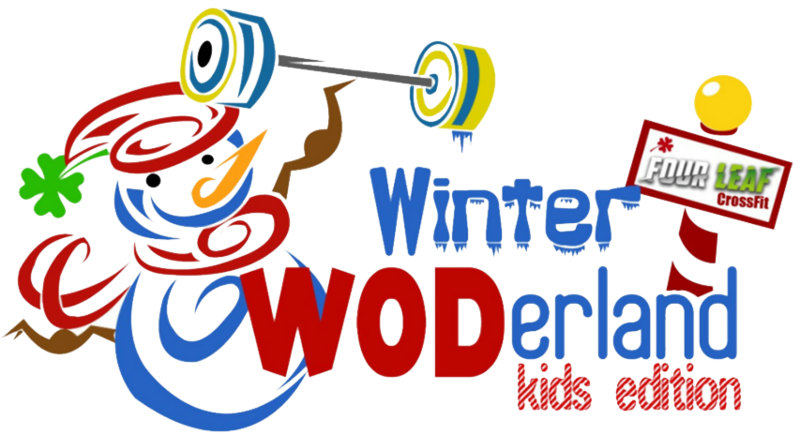 Winter WODerland is a CrossFit Kids fitness competition geared towards functional fun! Run off the sugar rush in the gym! 50% deposit of package cost required to reserve date. Remainder due 2 weeks prior to event. Full amount (based on number of children) billed after event. Refund (minus $50) given only if the party is cancelled 10+ days prior to the party date. Activities and workout will be customized to age group, theme, and birthday child’s preferences. We’ll supply tables and chairs. You will have access to the front room and refrigerator. Take what you want, and we will take care of the rest! 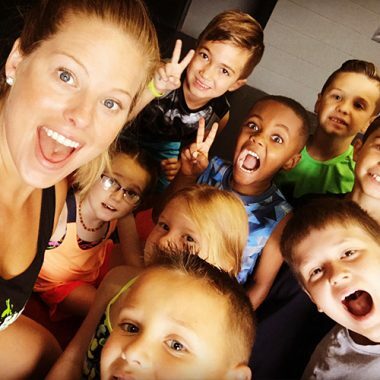 Our Clover Kids Summer Program is a fun, energetic environment that infuses education and fitness together to keep academic skills fresh over the summer. Each camp will have 1-2 coaches with an education degree. Each coach is an active teacher with a knowledge base of both educational and CrossFit standards. Each week will focus on a new theme to keep your child engaged and challenged. Don’t submit your child to the “Summer Slide.” Send them to Four Leaf CrossFour Leaf Fit Camp for some active learning fun!